Cooley Dickinson has been at the forefront of sustainable and environmentally responsible policy in the Pioneer Valley community for decades, employing large, cost-saving recycling programs, composting food waste and drawing much of its energy from renewable sources. The hospital has been recognized with a GreenHealth Partner for Change Environmental Excellence Award every year since 2011, which commends health care facilities that continuously improve and expand on their mercury elimination, waste reduction, recycling and source-selection programs. 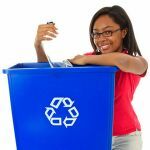 In May of 2015 Cooley Dickinson switched to a reusable tote delivery system for its medical and surgical supplies, eliminating more than 35 tons of cardboard from its annual solid waste disposal stream and saving $3,200 per year on the cost of removing that waste. The hospital has also annually diverted nearly 100 tons of food waste from landfills to composting facilities. 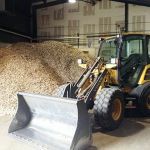 Our physical plant is fueled by waste wood chips sourced from a local lumber company and supplies heat and hot water to the CDH campus as well as steam that’s converted to cold water and used in the air-conditioning system. The chips are cheaper than conventional fuel sources, and emissions are cleaner than emissions from burning coal or oil. A steam turbine unit also generates approximately 17 percent of the electricity used by the hospital, and the plant’s overall efficiency provides considerable savings in annual energy costs that can be redirected to maintaining facilities, acquiring new equipment and hiring additional staff. 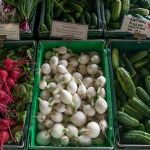 Much of the food served to patients, visitors and staff at the hospital is produced by local farms, reducing both the monetary and environmental costs of long-distance shipping and infusing capital back into our local community.